Guess what! Google CEO Sundar Pichai replied, and that was super cute. 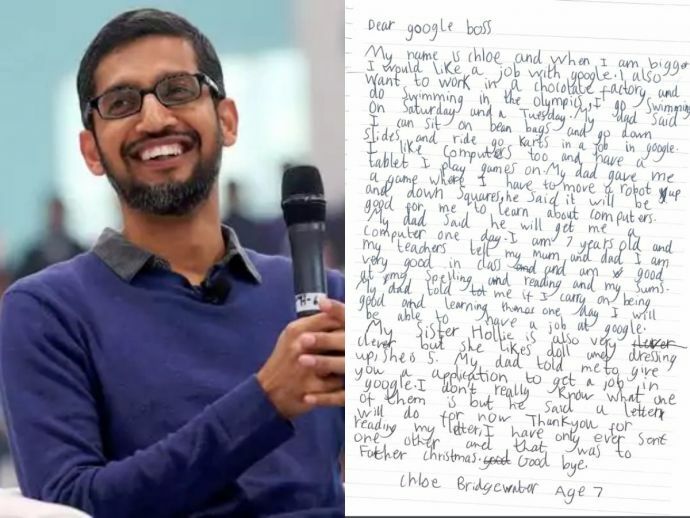 Seven-year-old Chloe Bridgewater, who lives in Hereford, UK wrote a very cute letter to "Google Boss" for a job. Chloe mentioned her likes and what her teacher says about her studies, "My teachers tell my mum and dad I am very good in class and am good at my spelling and reading and my sums." She also specifies her skills, "My dad gave me a game where I have to move a robot up and down squares; he said it will be good for me to learn about computers." Surprisingly, she got a reply from Google CEO Sundar Pichai. He encouraged her to follow her dreams, adding "I look forward to receiving your job application when you are finished with school! 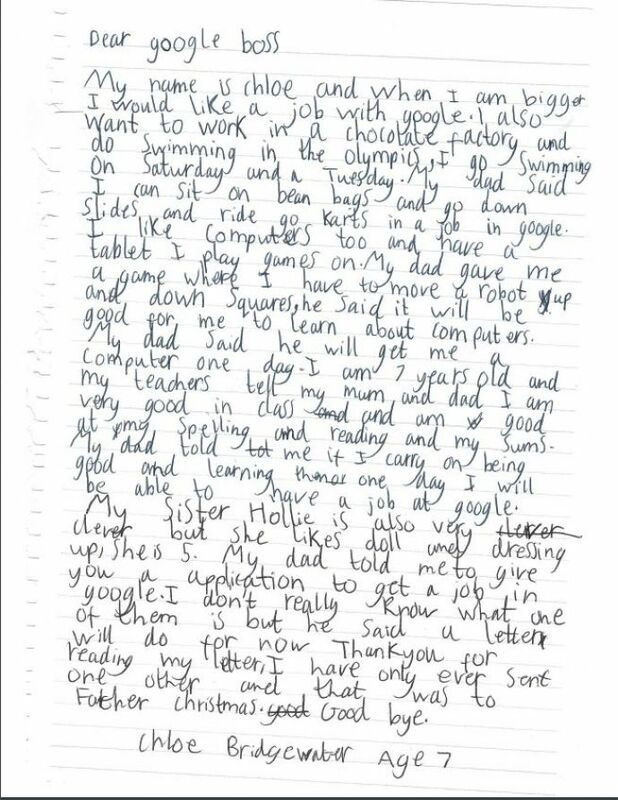 :)"
Take a look at the letter, shared in a viral LinkedIn post by Chloe's father Andy Bridgewater earlier this week. Chloe's father appreciated the sweet gesture from Sundar Pichai, and wrote this reply is a confidence booster for Chloe, who was "knocked down" by a car years ago.